A cute set of mug rugs for the holidays. These sweaters are so ugly they are cute! 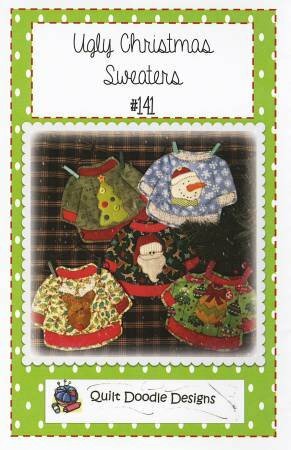 Attach the mug rugs to a 4" hanger and you have an ornament. These are super fun to make!